How are officials keeping terrorists from striking New York's underground? NYPD Sgt. William Buckley checks a car in the Times Square subway station during the morning rush hour July 8, 2005 in New York City. 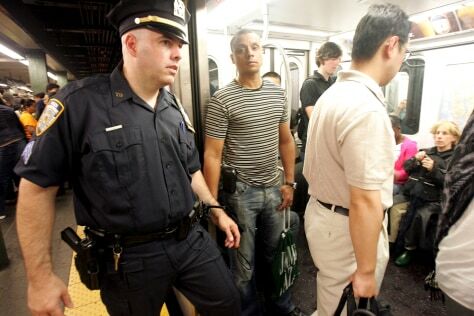 Security on subway trains and buses was increased in the wake of explosions that killed at least 50 people and injured many others on London's mass transit system July 7, 2005.